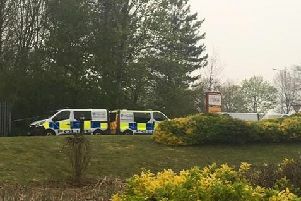 A 16-year-old boy has been arrested in connection with a sexual assault in Bletchley last month. The victim was walking her dog in Queensway at about 10.30pm on Monday, July 23 when she was approached by a male who started to show interest in her dog. He followed the victim to a bench near the junction of Lennox Road and sexually assaulted the victim by touching her inappropriately over her clothing. A 16-year-old boy from Bletchley was arrested this morning (Tuesday) on suspicion of sexual assault.